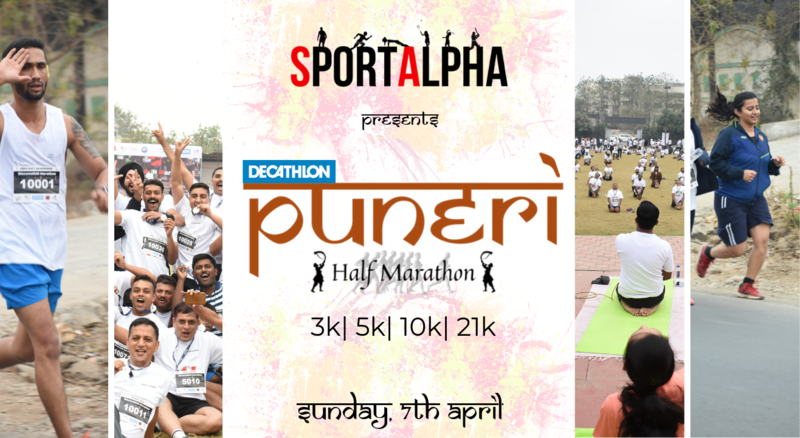 We, SportAlpha are proud to present to you Puneri Half Marathon on occasion of the 5th anniversary of “Decathlon Wagholi” in association with WHSA (Wagholi Housing Societies Association). Puneri half Marathon aspires to give birth to a culture, which resonates among people from all age groups and walks of lives. “The culture of being fit”. Pune is a city where Running as a sport has grown immensely & Punekars have loved & excelled at this sport with all their heart. Running communities & groups all over Pune have been actively promoting a “culture of being fit”. No wonder, Pune as a City had the highest number of runners qualifying & participating at the prestigious Comrades Marathon. Puneri Half marathon is a celebration of this spirit of Punekars & how they have come on to embrace the wonderful sport that running is. Puneri Half Marathon aims to establish itself as a significant event on India’s event calendar. The event will be held at Wagholi, Pune on Sunday, 7th April, 2019. The event will be geared to ensuring a best in class experience for the participants. ANS) The BIB Distribution will be held at Decathlon Wagholi on the 6th of April from 10:00am to 7:00pm. ANS) The route Map will be shared a week before the event. ANS) Trophy and Gift Vouchers. What is the minimum age category? ANS) The minimum age category is 10. ANS) It depends on the availability of the tickets. Although it is advisable to book in advance!